Enjoy your yard with the peace of mind that ticks won't latch onto you or your pet by following these helpful steps. As you enjoy outdoor fun this summer, keep family, friends and pets safe from disease-carrying ticks. To minimize risk on your property, deter deer with plantings such as boxwood, butterfly bush, and daphne. Eliminate grazing favorites like hostas, day lilies, and rhododendron. 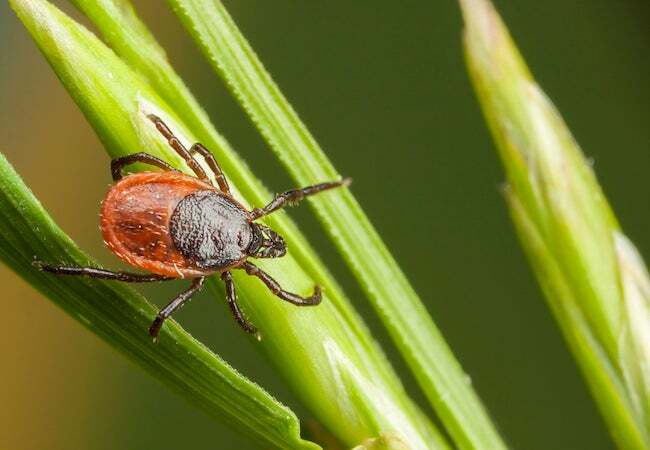 Ticks themselves will stay away from herbs like mint and rosemary, flowers like chrysanthemums, and a gardening-staple garlic. To keep your lawn and shrubs from harboring ticks, mow grass often, clear heavy brush and trim back ground cover surrounding your yard. Ticks lay their eggs in dark, moist places, and small rodents can be their first hosts. Birds also carry ticks, so keep feeders away from your house. Finally, spray your property’s perimeter and shady areas with a tick-deterring insecticide that mimics chrysanthemums or all-natural cedar oil.